Following the onset of the audiogenic stimulus, mice typically exhibit a latent period of a few seconds.1,3 The initial response in mice is a wild running phase consisting of an explosive burst of poorly coordinated locomotor behavior.3,5 This wild running phase terminates in a generalized clonic convulsion with the animal lying on its side.3,5,6 The clonic convulsion may progress to tonic flexion and then extension of head, trunk, forelimbs, and hindlimbs.1,3,5 Full tonic extension or a full tonic extensor convulsion are phrases utilized in the audiogenic seizure literature to refer to tonic extension that progresses to hindlimb extension. The reader should be cautioned that different authors may utilize hindlimb extension or full tonic extension to refer to the same seizure response. Full tonic extension resembles that seen in maximal electroshock (see Chapter 1) and may last for 10 to 20 s.1 Respiratory arrest, indicated by relaxation of the pinnae, can occur during the tonic extension phase.1,3,6 If the mouse is not resuscitated, it usually will die.3,6 Resuscitation can be easily accomplished by forcing air through a piece of soft tubing placed over the mouse's snout. Air is forced by squeezing a wash bottle attached to the other end of tubing. Following the tonic extension phase, mice often exhibit some terminal clonus followed by a cataleptic stupor.1 Not all mice exhibit the complete pattern of audiogenic seizure.1,3 Some mice may exhibit only a wild running episode. Other mice may exhibit multiple running episodes separated by periods of grooming prior to their terminal convulsion. Some mice may exhibit a wild running episode that terminates in only a generalized clonic convulsion. Like mice, rats demonstrate a latent period following the initiation of the audiogenic stimulus. The initial response in rats is an explosive wild running episode which is terminated by brief (approximately 1 s) tonic flexion of the forelimbs and dorsiflexion of the back. 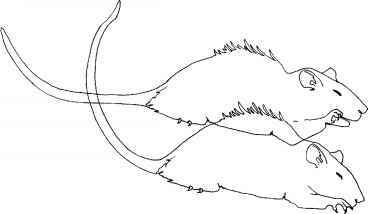 Due to the tonic flexion of the forelimbs, the rat plows to a stop. This brief tonic forelimb flexion represents a branch point from which each of the two genetically susceptible strains exhibits its phenotypic audiogenic convulsive response. Following the brief tonic forelimb flexion, rats of one genetically susceptible strain will begin a violent generalized clonic convulsion that involves both the forelimbs and hindlimbs. The back remains arched during the generalized clonic convulsion. These animals may or may not roll over on their sides during the clonic convulsion. A characteristic clonic audiogenic seizure is depicted in Figure 6.2. Following the clonic convulsion, rats exhibit a rage reaction which may include vocalization. Rats should not be handled at this time as they are extremely likely to bite. This rage reaction lasts 2 to 3 min and is followed by a mild postictal depression. Generalized clonic convulsion in a rat elicited by intense auditory stimulation. The superimposed drawing illustrates the range of motion seen in a generalized clonic convulsion. In the other genetically susceptible strain, the brief tonic flexion of the forelimbs and dorsiflexion of the back progresses to ventriflexion of the trunk and neck and tonic extension of the forelimbs. At this point the animal is usually on its side. The seizure typically progresses to full tonic extension of the hindlimbs. Thus, the full tonic extensor convulsion resembles that of maximal electroshock in rats and similarly proceeds in a rostral to caudal fashion. Like the mice, the tonic extension phase typically lasts between 10 and 20 s. A characteristic full tonic extensor convulsion is depicted in Figure 6.3. 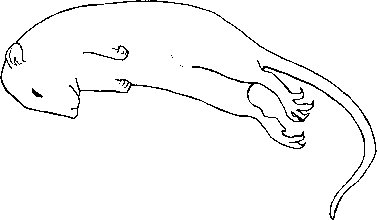 Following the tonic extension phase, the rat may then exhibit some mild clonic movements of the forelimbs and hindlimbs. Respiration, which arrests during the tonic phase, returns spontaneously with a gasp early in this mild clonic period. Unlike the mice, rats do not need to be resuscitated after the tonic convulsion. Finally, the rat exhibits a period of profound postictal depression, characterized by catatonia. Full tonic extensor convulsion in a rat elicited by intense auditory stimulation. Although rats do not die as a result of respiratory arrest immediately following an audiogenic seizure, a small percentage do exhibit status epilepticus following full tonic extension. Of these, approximately 50% will die. Following full tonic extension, respiration spontaneously reappears and these animals immediately right themselves. There is no postictal depression. Rather, these animals vocalize and begin exhibiting a continuous running episode. This episode is not as well organized as the initial audiogenic wild running episode, as the running is interspersed with clonic jerks of the hindlimbs. The animals appear fatigued and wobble from side to side as they continue to ambulate. Some animals also exhibit vertical jumping due to hindlimb clonus. All of the animals continue to vocalize throughout the status episode. At intermittent intervals, tonic extensor convulsions occur, terminating the running episode. Following tonic extension, the running episode resumes. A given animal typically exhibits three to five tonic extensor convulsions during the period of status epilepticus, which can last from 20 to 30 min. Status epilepticus, when it occurs, tends to run in litters. Unexplained deaths also occur in littermates of rats exhibiting status epilepticus after an audiogenic seizure. It is possible that these littermates experience spontaneous status epilepticus and die. Group housing of susceptible rats would facilitate status epilepticus. The noise of one rat in status running into the cage wall appears to induce audiogenic seizures in its siblings. By the time these litters have undergone the three audiogenic screenings required for selection of breeders and research subjects (described below), few remain. Attempts to breed these rats have failed due to unexplained deaths of the remaining breeders. Spontaneous seizures have been reported by Dailey et al.7 in audiogenic susceptible rats bred for full tonic extensor convulsions. 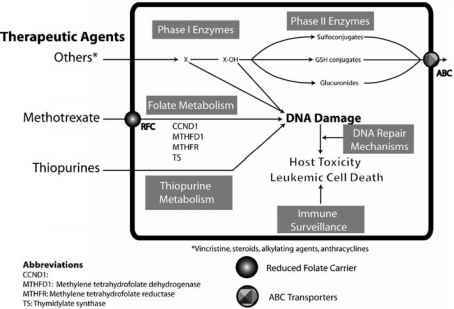 Reported incidence was 1 to 2 episodes per month in a colony of 600 animals. However, the actual incidence may be higher as these reported incidences were limited to chance observations by vivarium staff and technicians. Spontaneous seizures in some of these rats progress to a pattern of status epilepticus that resembles the status epilepticus occurring after a sound-induced tonic extensor convulsion.